Includes: 2 drink tickets, a bourbon tasting card (4 tastings), seated 3-course meal (duo entree) with wine, live entertainment, New Riff tour (early), dancing ($40 tax deductible). Call KSO at (859) 431-6216 for more info. This vintage dated bourbon is one of three O.F.C. barrels released in spring 2018 and honors the O.F.C. Distillery, a National Historic Landmark at Buffalo Trace. The 1985 barrel filled only 61 bottles available world wide. This exquisite bourbon is packaged in a crystal bottle with real copper lettering inlaid in the bottle in a cherry wood display case. Retail Value $2,499.99. Up to 500 tickets to be sold. 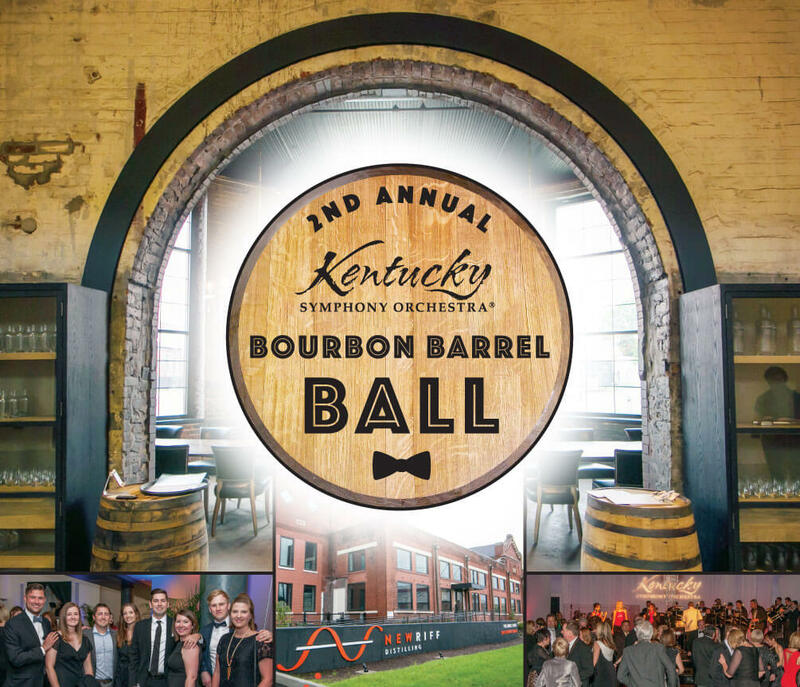 The KSO has been granted it’s own single barrel of New Riff Bourbon that it will be sharing with KSO angels who attend the KSO Bourbon Barrel Ball. Over 200 bottles will bear the KSO / New Riff label with the contents recently tasted and selected by NKY bourbon connoisseurs and KSO supporters from amongst several New Riff single barrels. The KSO’s Single Barrel will be bottled available at the Party Source (all proceeds go to the KSO) beginning April 22nd. Bottles will also be available at the KSO’s Bourbon Barrel Ball April 27th. Must be at least 21 to attend or purchase raffle tickets. Bourbon must be picked up in person. The KSO will not deliver or mail bourbon. All tickets are held at will call. Ticket purchase includes sales tax. $40 of each dinner ticket purchased is considered a donation to the KSO.